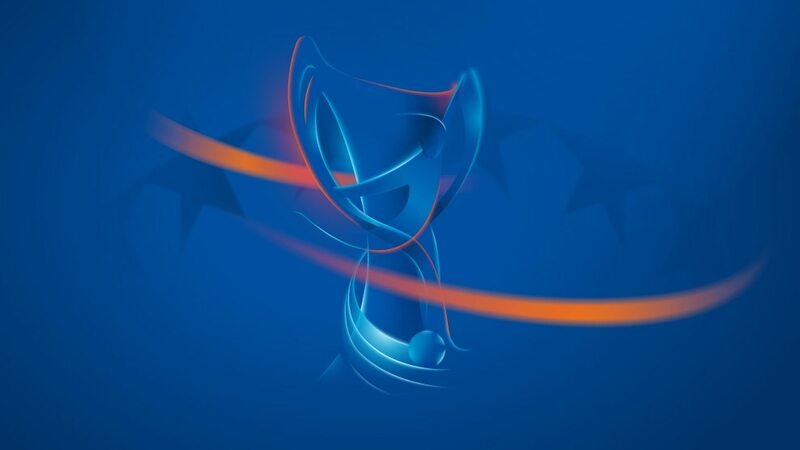 UEFA.com previews Wednesday's quarter-final first legs, with Arsenal LFC facing ASD Torres CF, VfL Wolfsburg taking on FC Rossiyanka and two Franco-Swedish encounters. UEFA.com previews Wednesday's UEFA Women's Champions League first legs, including two Franco-Swedish ties, as the last eight resume their bids to reach the 23 May final at Stamford Bridge. The second legs are next week. The big winter change for Arsenal has been on the bench, Laura Harvey having departed for Seattle Reign FC to be replaced by Scotland Under-19 coach Shelley Kerr. This will be her first competitive match in charge after Sunday's FA Women's Cup tie at Nottingham Forest LFC was postponed, and she said: "It's a really exciting opportunity for me. Arsenal Ladies have been at the forefront of women's football in the UK for many years now, so to be appointed head coach is almost a dream job." Midfielder Katie Chapman is on maternity leave and defender Faye White, the final ambassador who recently became a mother, has retired due to a knee injury. Torres have had no winter break as they continued their tight title race with UPC Tavagnacco. They were not in action this weekend as their meeting with bottom side ACF Torino was postponed. "Arsenal are one of the strongest sides in the competition," said Torres coach Manuela Tesse. "They may be favourites but I believe they will have to fight hard to beat us. Nothing is impossible in football and the possibility of achieving something nobody expects from us is an extra motivation. Obviously, in order to beat Arsenal we will have to play the perfect game." European debutants Wolfsburg resumed their Frauen Bundesliga campaign this weekend, the leaders going four points clear after beating FF USV Jena 4-1. The result was a boost in the absence of captain Nadine Kessler due to a knee injury. "I want to thank USV Jena for agreeing to play this match on AstroTurf," said Wolfsburg coach Ralf Kellermann, whose side have had to shift the Rossiyanka tie from their VfL Stadion to the larger VfL Wolfsburg Arena due to severe weather. Rossiyanka warmed up with camps in Cyprus, Montenegro and Wuppertal, and in friendlies Achim-Matthias Feifel's team beat Jiangsu Huatai 5-1 before a 1-1 draw against the Chinese side, and overcame Bayer 04 Leverkusen 1-0. Their only competitive match in 2013 was a 1-1 home draw with lowly FK Mordovochka Saransk on 6 March, leaving them four points behind FK Zorkiy Krasnogorsk with a game in hand. German coach Feifel has a full squad as Natalya Shlyapina has shaken off a thigh problem and Nompumelelo Nyandeni is back after a head injury. "Everything will depend on the level of our commitment in a clash with Wolfsburg since my players have enough quality to face Europe's strongest teams," said Feifel. Lyon are in superb shape as they aim for an unprecedented third straight European title. Even with Élodie Thomis and Corine Franco rested and Lotta Schelin on the bench, they strolled to a 5-0 victory over AS Saint-Étienne at the Stade de Gerland this weekend, maintaining their perfect league record and taking them past the 100-goal mark after 17 matches. Sonia Bompastor returned after two months out with a knee injury and Japan striker Shinobu Ohno made her first start; she and United States winger Megan Rapinoe are recent additions to the squad. Malmö have strengthened with prodigious Colombia midfielder Yoreli Rincón and returning forward Manon Melis, while former assistant coach Jonas Eidevall is now in charge. Already assured of a European return as 2012 Swedish runners-up, their long-term future was assured by a new sponsorship deal in the winter and they have had a long programme of friendlies. Juvisy claimed their 12th win in 17 French league games this weekend, beating Toulouse FC 5-0 away. Amélie Coquet scored a double and Nelly Guilbert, Charlotte Fernandez and Sandrine Soubeyrand were also on target but they remain fourth, 14 points behind Lyon and, crucially eight adrift of Paris Saint-Germain FC in the second European qualifying position. "We must win our remaining league games," said coach Sandrine Mathivet, who has added Ukraine goalkeeper Iryna Zvarych to her squad. "We're determined to go as far as possible this season in Europe and be back next season." Göteborg have lost players, including their European top scorer Christen Press, but in their place have come Sweden forward Jessica Landström, fellow striker Cathrine Dyngvold and midfielder Marie Hammarström, whose twin Kristin has played a crucial role in goal and is now looking favourite to start at UEFA Women's EURO 2013. They had a Californian training camp last month, defeating UCLA 2-1, and their last warm-up was a 2-1 loss to Norwegian champions Lillestrøm SK with Yael Averbuch on target. Once of Chelsea LFC, Anita Asante is hoping to step out at Stamford Bridge for the final on 23 May but first her Göteborg FC side must get past FCF Juvisy Essonne in the last eight. Injured Nadine Kessler says VfL Wolfsburg have been "pretty convincing" in their run to the quarter-finals but is expecting a stern test from German-coached FC Rossiyanka. Kelly Smith shot Arsenal LFC into the quarter-finals with a hat-trick at 1. FFC Turbine Potsdam and she is "buzzing" as they gear up for their last-eight tie at home to ASD Torres CF. Still a prolific striker at the age of 38, ASD Torres CF forward Patrizia Panico tells UEFA.com she has her sights set on silverware and this week's quarter-final first leg at Arsenal LFC.